GET YOUR BRAKES FIXED IN SAN ANTONIO, TX TODAY! Expert Brake Repairs–We Make It Look Easy! Bring us any and all of your vehicle’s brake problems. Our top quality technicians have decades of experience providing the San Antonio area general repairs and maintenance. Carlisle Air Automotive takes pride in our ability to repair our customers’ brake systems correctly the first time. We also take it a step further by sharing the type of brake maintenance and insight that will help you avoid those costly repairs altogether. Too many of our customers have made the mistake of taking repairs to less knowledgeable and inexperienced mechanics. They eventually end up at Carlisle Air Automotive and we fix whatever was wrong. We use the most advanced equipment and tools to quickly diagnose and repair your braking system. There are a number of maintenance and repairs that drivers try to get away with not bringing in for service. Don’t wait until it’s too late and you do irreparable damage to your vehicle’s braking system or any of the connected wheel components. Just because you can drive with faulty brakes, doesn’t mean you should. Get your brakes checked out immediately at Carlisle Air Automotive in San Antonio. We have two locations to serve you; 6411 San Pedro Ave and 1291 New Laredo Hwy. You can get your brakes repaired as soon as possible when you know what you’re looking for. Some signs are more obvious than others, but when you experience them, it’s time to bring it to the professionals. Ever notice a strange sound when applying the brakes? If the radio is up loud, this noise may be harder to recognize. Some brakes will let out a sharp squealing sound when the pads have worn to an indicator that lets you know it’s time to replace the pads. That sound will be more recognizable to everyone on the outside of your car, than to you on the inside. A loud grinding noise indicates that your pads have worn completely down and you’re grinding metal against metal. This will definitely cause further damage if you don’t bring it in immediately! Sometimes drivers will experience a vibrating brake pedal when driving in normal road conditions. The uneven surfaces of the rotors will knock against each other, and reverberate through the pressed brake pedal. 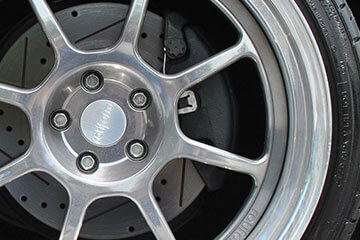 Certain driving conditions will cause increased heat, which will cause the metal rotors to be misshapen. Also, if you car tends to pull to one side of the road, without you turning the steering wheel, it just may be your braking system. It doesn’t have to be your wheel alignment, like most people assume. Uneven brake pads or collapsed brake hoses will apply different amounts of pressure to different wheels, causing the car to pull in that direction.